Greater Toronto Area (GTA) REALTORS® reported 6,418 sales through the TorontoMLS system in August 2012. This represents a major decline of 12.5 per cent compared to the 7,330 sales reported in August last year. The number of new listings reported was down by 5.5 per cent compared to August 2011.It seems that the mortgage lending guidelines that came into effect in July have done some damage to the market already. Residential transactions experienced a decline compared to the same period last year. The total number of new listings for sale on the City of Toronto’s MLS® reached 4,273, decreasing from 4,805 compared to last year’s results. 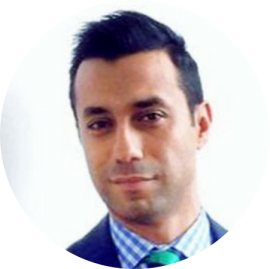 The Greater Toronto Area experienced a similar minor drop from 7,625 to 7,475 new listings in a year-to-year comparison of the August market. 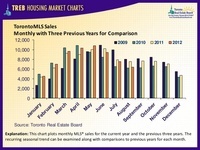 Sales of detached properties on the MLS® in August 2012 reached 3,029 — a decrease of 10 per cent. The average price for detached properties increased 8 per cent from August 2011 to $606,929. Condo apartment property sales (1,512) declined by 22 per cent compared to August 2011. 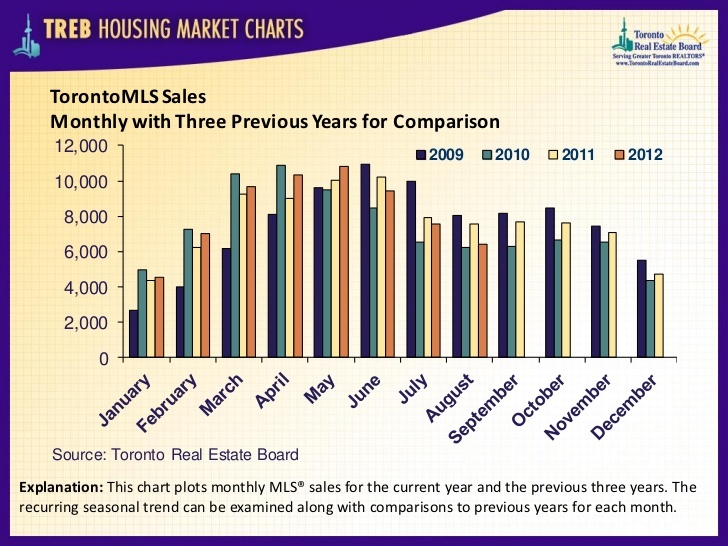 The average price decreased by 2 per cent compared to August 2011 stats, currently sitting at $327,856. Semi-detached property sales (690 units) experienced a steep 13 per cent decline compared to August 2011. The average price rose by 6 per cent since August 2011 to $437,961. Sales of townhouses in August 2012 reached 1,062 — an increase of 1 per cent. The average price for detached properties increased 5 per cent from August 2011 to $367,562. The MLS® Home Price Index (MLS®HPI) composite average price for all residential properties in the City of Toronto over the last 12 months has shifted from $463,697 in August 2011 to $497,769 this year. The numbers for the Greater Toronto Area follow a similar pattern, shifting from $441,868 in August 2011 to $468,792 this year. A Slowdown in Canada’s Housing Market is Coming! Its undulating topography and quaint green pockets make Forest Hill one of the most charming, prestigious and highly sought-after neighbourhoods in Toronto. Looking to invest in a condo? Subscribe to our newsletter below to get our FREE e-book “A Guide to investing in Toronto condos” and learn everything there is about Toronto’s condo scene.